The Zimmerman defense animation will dehumanize a black youth; Fruitvale Station will humanize another. During its closing arguments today, George Zimmerman’s defense team played a controversial animation for the jury based on unproven assumptions. It likely stunned jurors, as well as those watching the trial today. Meanwhile, Fruitvale Station, a film that traces the killing of another young black man named Oscar Grant, also opens in theaters. At stake today in a Florida courtroom, and in theaters across the country, is the representation of black bodies, animating the idea of whether they’re worthy enough to live. The Zimmerman defense animation was created by a graphic artist named Daniel Schumaker, and Zimmerman defense lawyers argue that it is largely based on John Good’s testimony. 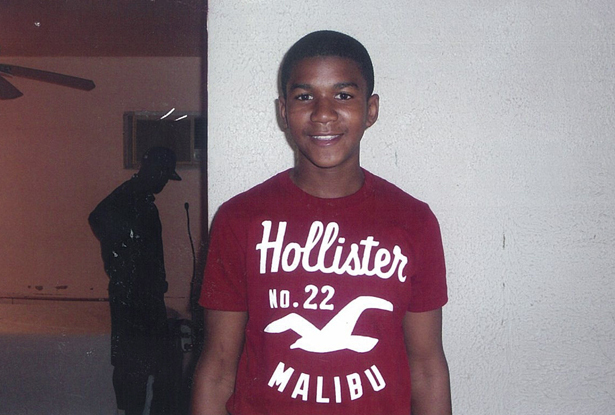 Good called 911 just minutes before Zimmerman shot and killed 17-year-old Trayvon Martin on February 26, 2012, and partially witnessed an apparent confrontation between Martin and Zimmerman—briefly, and in the darkness. But Schumaker’s animation goes far beyond what Good actually saw. Good made the 911 call around 7 pm, when it was dark out; the animation, instead, provides light that was never available to the witness. The animation also illustrates Martin punching Zimmerman with his left hand; it’s indisputable that Martin was right-handed, and neither Good nor any other witness’ testimony was ever provided that said Martin used his left hand to strike Zimmerman. Although Judge Debra Nelson ruled against allowing the animation to enter into evidence (which would have meant that jurors would have been provided the opportunity to watch the video over and over again during deliberations), it likely captivated the jurors’—and the nation’s—attention during closing arguments on Friday. It isn’t the first time defense lawyers have attempted to introduce a controversial simulation during a racially charged trial. Although it’s little remembered today, attorneys tried to introduce a similar animation during what we refer to today as the Rodney King trial, more than twenty years ago. I mention that we refer to it as the King trial only because it’s rather poignant that we easily remember King’s name, but rarely the name of the officers who were actually on trial. In contrast, social media users have worked to trend #ZimmermanTrial, reminding users that while #TrayvonMartin is to be remembered, George Zimmerman is the one on trial. Viewers of today’s trial might still forget that, however—because Martin’s character is constantly being defended in the courtroom as if he were the one being charged. Like Martin today, King, just 25 at the time of the assault, was being similarly defended in the courtroom in 1992, despite actual video of the brutal beating. In courtrooms, sidewalks and imaginations around the United States, the black body itself is often considered a weapon, and today’s defense animation will echo that deeply racist, if not unconscious, national sentiment. It’s hard to imagine better timing than the present for the opening of Fruitvale Station today. It dramatizes a day in the life—and death—of 22-year-old Oscar Grant, whose killing was also captured in an amateur video four years ago. The officer that killed Grant, Johannes Mehserle, was found guilty of involuntary manslaughter. The officer that inexcusably killed Grant at point-blank range was sentenced to just two years—but was granted double time for the days he had already spent in jail. After his conviction, Mehserle served less than five months in prison. But it’s just as remarkable that his case even came to trial. Since black bodies are latently considered weapons, the hands that kill them often do so with complete impunity. Starting today, filmmaker Ryan Coogler is providing anyone who will watch and listen the opportunity to hope against hope. After all, anyone who attends will likely know the sad ending contained in Grant’s killing. But Fruitvale Station isn’t just a sliver of time capturing another black man’s death or killing. And it isn’t an animation meant to indict a man who’s not even on trial. It’s a film written and directed by another young black man, Coogler, who’s worked with incarcerated youth and hails from Oakland. What’s already exceptional about the film’s debut is that it tells a story that is all too familiar, but in a different way—one that humanizes the subject against amateur videos and courtroom animations. And one that puts the nation on trial for the way we view black bodies. Why did Trayvon Martin’s best friend face such harsh criticism from the media when she testified while George Zimmerman’s faced almost none?